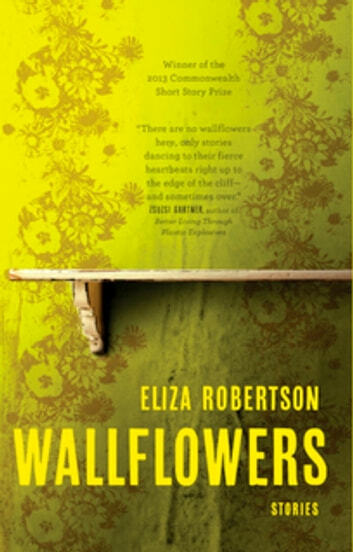 From windswept Pacific beaches to the inner reaches of the human heart, Wallflowers is a shimmering and often surprising journey of discovery, with many unexpected turns along the way. 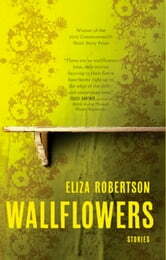 Eliza Robertson has created a cast of unique and wholly engaging characters. Here there are swindlers and innocents, unlikely heroes and gritty survivors; they teach us how to trap hummingbirds, relinquish dreams gracefully, and feed raccoons without getting bitten. “Wish you were here” letters on a road trip parallel a woman’s painful trip into her family’s dysfunctional past; reminiscences of a beloved sibling are inextricably bound up with calamity; and roommate problems lead to a surprising (and skin-crawling) revelation. Robertson smashes stereotypes even as she shows us remarkable new ways of experiencing the world—and of relating to our fellow human beings. Quirky and masterful, Wallflowers is a bouquet of unconventional delights from a powerful new voice.